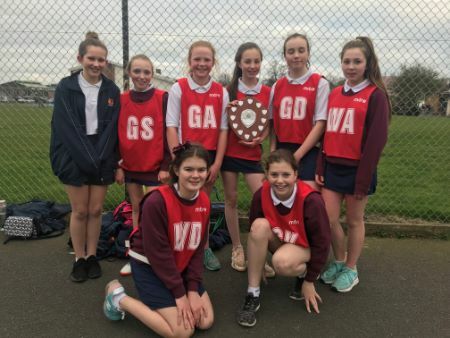 Well done to the U12 Netball team who won the City Netball Tournament yesterday. They beat Caldew 3-1, William Howard 5-1, Central 4-2 and Trinity 5-0. Kate Irving - Girl of the Game - along with Fern Roberts, made numerous interceptions and prevented the teams form having opportunities to score. Lauren Gant, Mia Brough, Alexa Crooks and Maddison Williams-Woods worked the ball well through the mid-court to then feed the ball into to circle for Liv Milbourn and Mia Williams to score all our goals. A great end to the season girls - well played!